Serova sued defendants for marketing a posthumous Michael Jackson album, Michael. The album cover and a promotional video allegedly misrepresented that Jackson was the lead singer on each of the 10 vocal tracks on the album, when in fact he was not the lead singer on three of those tracks. Serova brought a fraud claim against some defendants, alleging knowing misrepresentation. The trial court concluded that the album cover, including statements about the contents of the album, and a promotional video for the album were commercial speech that was subject to regulation under the UCL and the CLRA. The court of appeals reversed because the claims about Jackson’s performance “did not simply promote sale of the album, but also stated a position on a disputed issue of public interest.” That dispute was that some Jackson family members, and others, publicly claimed that Jackson wasn’t the lead singer, and Sony disputed that claim. [Nice work if you can get it, to create a disputed issue of public interest by making the statement that’s being attacked.] “The identity of the lead singer was also integral to the artistic significance of the songs themselves.” Thus, statements about the identity of the artist were not simply commercial speech, and couldn’t be the subject of actionable unfair competition or consumer protection claims, and Sony was entitled to succeed on its anti-SLAPP defense. Although music ads are not categorically covered by the anti-SLAPP law, the “commercial speech” amendment that was designed to curb abuses of the anti-SLAPP law by commercial advertisers does exclude ads for expressive works. [Meaning that this decision isn’t as broadly significant as it might sound—ordinary advertisers can’t take advantage of the “create a public controversy” way out; indeed, this case is an example of exactly why the legislature amended the anti-SLAPP law to exclude most advertisers.] 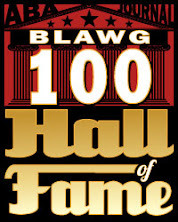 If an ad falsely claimed that an album contained a particular song, that “mundane commercial misrepresentation” wouldn’t be automatically covered by the anti-SLAPP law. Here, Serova alleged that another set of defendants, not Sony, “jointly created, produced, and recorded the initial versions” of the Disputed Tracks and knew that Jackson didn’t perform them. According to Serova’s allegations, Sony was itself deceived and thus “lacked the critical element of personal knowledge under the Kasky standard.” Because Sony lacked actual knowledge, it could “only draw a conclusion about that issue from [its] own research and the available evidence. Under these circumstances, Appellant’s representations about the identity of the singer amounted to a statement of opinion rather than fact.” The lack of personal knowledge also meant that regulating the speech here had a greater risk of a chilling effect, given that the UCL and CLRA create liability without intentional or willful conduct. Not all ads promoting an artwork are noncommercial speech; “mundane or willfully misleading” claims might not be protected, such as a statement falsely stating that a particular song is included in an album. But “where, as here, a challenged statement in an advertisement relates to a public controversy about the identity of an artist responsible for a particular work, and the advertiser has no personal knowledge of the artist’s identity, it is appropriate to take account of the First Amendment significance of the work itself in assessing whether the content of the statement was purely commercial.” Indeed, a footnote suggested that even representations about the identity of the artist could be regulated, at least if the identity of the artist wasn’t an issue of public interest [in which case no materiality] and the defendants had personal knowledge of the issue. Mark Lemley, Mark McKenna, and I wrote a brief in support of rehearing. Here's hoping! Excelsior alleged that Wolff infringed its rights by advertising and selling a test preparation service that uses Excelsior’s registered marks and copyrighted material for a Clinical Performance Nursing Exam required to pass its nursing program. Wolff, a former student who signed the academic honesty policy, uses robscpne.com and robbie-wolff.com and his html [foolishly] includes “CPNE” and “Excelsior College” as keywords and meta-tags. He used RobsCPNE on social media. Wolff allegedly requests CPNE test questions and exam feedback from students who take the CPNE exam, then them to students preparing to take the CPNE exam, allegedly violating and causing the violation of the honesty policy. We’re in the Second Circuit, so nominative fair use can’t be used to kick out the case on a motion to dismiss. Strength: registered without requiring a showing of secondary meaning, so presumed inherently distinct (though given what CPNE stands for, that’s a little hard to accept) and plausibly has acquired distinctiveness due to use since 1975 and “significant” sums spent on advertising. Similarity: yep. Proximity/bridging the gap: Excelsior also offers test prep services. No pleading of actual confusion, but that’s ok. Bad faith: knowledge of the mark and disregard of C&D demands, along with use of a privacy protection service to conceal his domain name registration [um, didn’t it use his name?] alleged bad faith. Sophistication: favored Wolff, but irrelevant. At this stage, the court couldn’t evaluate the nominative fair use factors (whether use is necessary to identify the defendant’s product or service—seriously? That follows from the allegations of the complaint). It was plausible that purchasers could believe there was sponsorship, approval, or affiliation with Excelsior, since it advertised test prep for people seeking an associates degree through Excelsior and the website included the CPNE mark. On ACPA, Wolff argued that allegations of bad faith weren’t plausible because the domain robscpne.com sent users to robbie-wolff.com and the content is “replete with references to Defendant, Robbie Wolff, by name, including testimonials and reviews.” But it was also “replete with Plaintiff’s mark and references to Excelsior College/Excelsior University, which could cause confusion,” and Excelsior alleged bad faith intent to profit [from confusion?]. However, that doesn’t really rebut the point that Wolff does not seem to have hidden his identity in any way, which makes allegations alleging bad faith from his use of privacy protection for his contact info implausible. Copyright infringement: also plausibly alleged that Wolff copied substantial amounts of Excelsior’s materials. False advertising under NY GBL § 350: the requirement that conduct be consumer-oriented was satisfied by the alleged trademark infringement. State law unfair competition additionally required bad faith. The complaint alleged that the defendant used an identical mark with the bad faith intention to profit from the known goodwill of the plaintiff’s mark. That was enough to plausibly plead bad faith. Tortious interference (with the honesty agreement) was also plausibly pled even though the CPNE is a practical exam, not a written exam, and even though Wolff argued that all test preparation services involve training the test-taker how to answer the type of questions likely to be on the test. 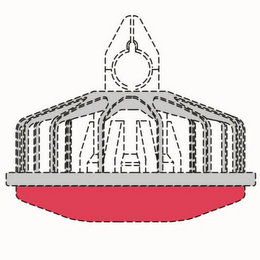 As sold, each feeder has the parties’ respective registered brand names molded onto the upper grill portion and bottom pan portion of the feeders. 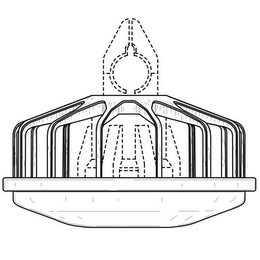 Functionality: The court quoted a previous case: “TrafFix does not require that a patent claim the exact configuration for which trademark protection is sought in order to undermine an applicant’s assertion that an applied-for mark is not de jure functional. 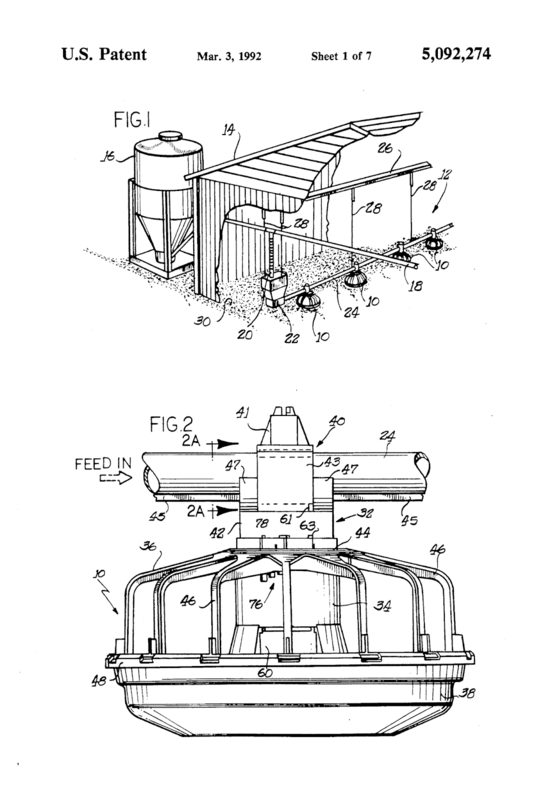 Indeed, TrafFix teaches that statements in a patent’s specification illuminating the purpose served by a design may constitute equally strong evidence of functionality.” The expired utility patent here contrasted its supposedly better shape to prior art configurations whose “shape and configuration of the barriers” allowed “birds which force their way in the feeder apparatus [to] become trapped inside.” “This functional advance is echoed multiple times in the claims of the patent and is specifically connected to the configuration of the feeder.” This was strong evidence of functionality; the registered mark claimed the same features as the patent. Likewise, the other patent showed every angle of the configuration as claimed in the trademark registration and didn’t acknowledge any other embodiments with different configurations. The appropriate focus is the overall trade dress, but the whole trade dress was functional: this was “an arrangement of functional parts, the arrangement of which was dictated solely by functional concerns.” Alternative designs need not be considered. CTB argued that there was no scientific evidence to support the conclusion that chickens are more attracted to these colors versus other colors. CTB misperceived on whom the burden lay, and didn’t show that the colors were “ornamental, incidental, or arbitrary” or were chosen for any reason other than functionality. Dismissing its own position in its patent as “apocryphal lore” couldn’t avoid summary judgment. [But might make for an interesting ad by a competitor, a la the Pizza Hut Puffery ad.] Plus, functionality is a legal conclusion, not a scientific one. For some reason [which could be the difficulty in analyzing an unfair competition claim based only on labeling, especially when we know that labels often don't work], the court went on to deal with remaining unfair competition claims as a matter of failure to show damages/proximate cause instead of pointing out that functionality ended anything but, perhaps, a claim for insufficient labeling. There was no evidence of any harm, just a theory of price erosion. 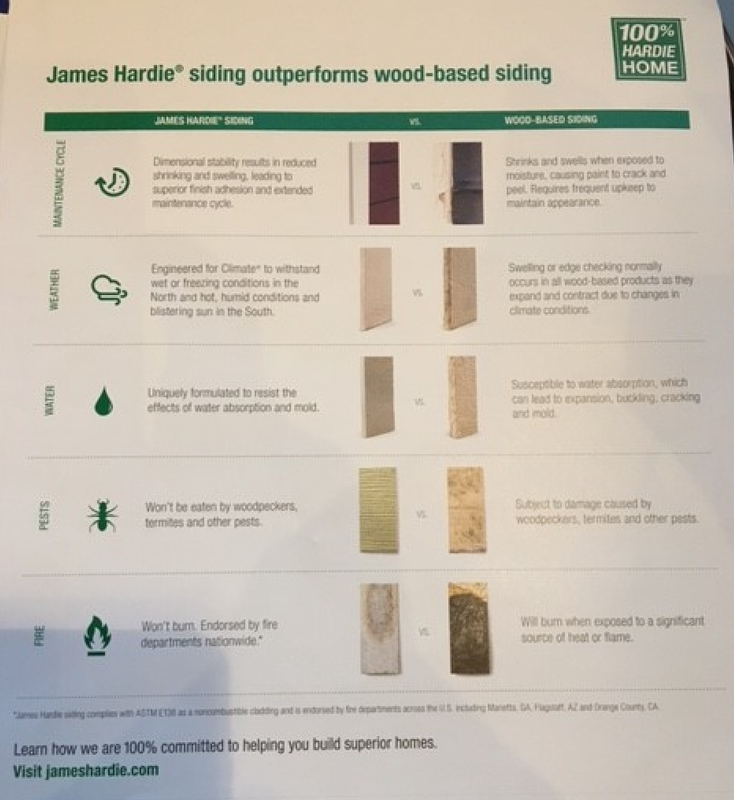 LP challenged statements JH made regarding engineered wood siding products in its “No Wood Is Good” marketing campaign. The parties compete in the manufactured siding industry. LP claims to be the “undisputed leading manufacturer and distributor of stand-based engineered wood siding products in the United States.” JH produces cement-based siding products that it markets as alternatives to engineered wood siding, including LP’s products. JH made superiority claims on www.nowoodisgood.com and www.nowoodsgood.com, in promotional materials, and in representations made by its agents to prospective customers. It stated that engineered wood sidings are inferior because “pests love” engineered wood sidings, and that engineered wood sidings are “natural fuel for fire,” “susceptible to water absorption,” and “won’t weather well.” It used images and video of a woodpecker within a hole in what appears to be siding material and an image of buckling siding that JH indicates is LP’s strand-based engineered wood siding. As for the woodpecker picture, LP argued that the image was literally false because it was doctored to add the woodpecker, and the image’s colors were edited to make the hole seem more severe and misrepresent its siding’s susceptibility to woodpecker damage. The record showed that the hole was in fact made in LP siding, and there was circumstantial evidence that it might have been a woodpecker; the record indicated that engineered wood products (including LP’s) are susceptible to woodpecker damage. There was no proof of consumer reception of the challenged images/statements. JH’s expert concluded that “the woodpecker image, the ‘Pests Love It’ statement, and online advertising for siding products generally are not material to purchasing decisions of builders, installers, or contractors.” The Sixth Circuit permits “a presumption of money damages where there exist[s] proof of willful deception” where the defendant has been specifically targeted, with a specific reference to the competitor or a product identified as the competitor’s. Only the ads labeled “OSB Siding” specifically targeted LP, the only producer of OSB siding in the US, while other companies make engineered wood products. But was this falsity willful? It was reckless, given JH’s knowledge that LP made both kinds, the difficulty of distinguishing them visually, and the lack of evidence that JH took any steps to confirm what kind of siding it was. JH’s expert report didn’t rebut the presumption of money damages, because the expert’s survey polled only a subsection of the market; it excluded do-it-yourself home builders and do-it-yourself remodelers. Given that JH actually created a separate website geared for consumers and another for the trade audience, that wasn’t good enough. Thus, LP showed likely success on the merits as to the one statement, but not the others. The court also presumed irreparable harm because reputational injuries were at risk, and reputational harm can’t be quantified and redressed. Munro is an artist best known for his works “Field of Light” and “Forest of Light”—“large-scale, immersive, light-based installations, and exhibitions.” Lucy allegedly proposed a Lucy advertising and promotional campaign featuring Munro’s work. Relying on a promise of confidentiality, Munro allegedly shared additional information with Lucy about his prior work and disclosed that he was in talks with public officials in Boston about creating a public exhibition in the city. In October 2013, Lucy launched a light exhibition and advertising campaign for Lucy in Boston. “Light Forest” was an interactive light installation that responded to the participants’ movements. Munro sued for infringement of trademark and trade dress and usurpation of a prospective business opportunity. Munro’s fraud claim failed because allegations that Lucy didn’t keep its promises weren’t enough to make it plausible that Lucy didn’t intend to keep those promises when it made them, as required for fraud. The tortious interference claim was based on the theory that Lucy gave Boston an alternative to his project in reproducing works similar to his sculptures, and was therefore preempted by the Copyright Act. Trademark infringement: this one survives, though for how long is an open question. 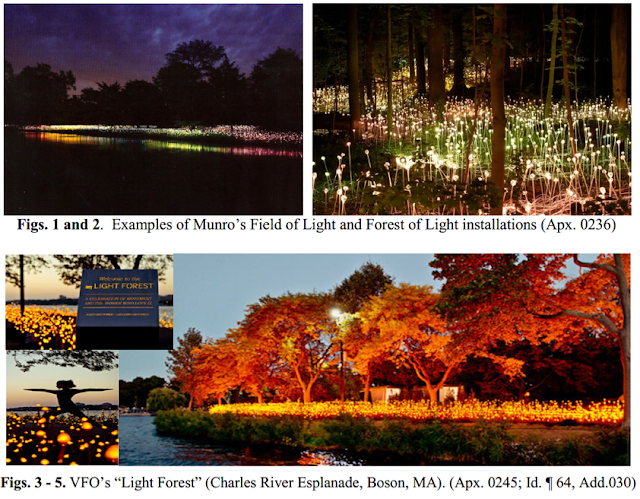 Dastar didn’t bar the claim that Lucy’s use of the name “Light Forest” was a confusingly similar and colorable imitation of his “Forest of Light” and “Field of Light” trademarks. “[A]n artist is considered the producer of the creative ideas of his work, but if the artist also makes and sells his artwork himself, then he is considered the producer of that good or service as well and is ‘able to assert a Lanham Act claim for false designation of origin.’” Munro sufficiently alleged that he was the producer and promoter of the underlying goods, which doesn’t quite get at what the court of appeals described as the district court’s conclusion: that Munro didn’t allege facts suggesting that the names served a source-identifying function. It’s not definitionally true that, as the court of appeals concluded, “[b]ecause Munro produces these installations, he is the ‘origin of goods’ or ‘source’ that the names identify, which entitles him to bring an action under the Lanham Act.” In addition, the names themselves must be distinctive. Given the underlying works, the names here seem highly descriptive. That doesn’t rule out acquired distinctiveness, but I wonder about the proof there. As usual, Ginsburg (and her coauthor) do a wonderful, careful job on the doctrinal implications, with bonus Le Petit Prince examples. I would probably draw the line finding works to be authorless earlier than they would. In particular, I don’t think that the essentially unpredictable and unpredicted outputs of generative computer programs would be authored by the programmer; they should be deemed authorless as well. Betsy Rosenblatt’s project on “work” as a verb and not just a noun was helpful to my thinking here. Say what you will about Seventh Circuit substance (and I have), I like the crisp Seventh Circuit style, which seems to influence the district court judges too. 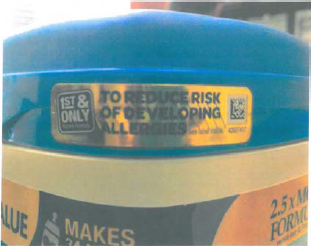 This case whips neatly through procedural aspects of a fraud case, declining to dismiss Hobbs’ complaint that Gerber falsely marketed its Good Start Gentle infant formula as reducing the risk that infants would develop allergies to cow’s milk and decrease incidences of the most common manifestation of such allergies, atopic dermatitis (eczema) and as having FDA endorsement of these claims. Gerber has a history with the FDA on this. 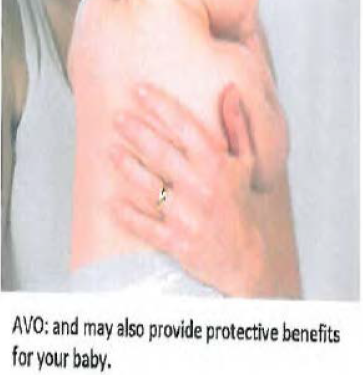 After a lot of back and forth, the FDA concluded in 2011 that “the current scientific evidence is appropriate for considering the exercise of enforcement discretion with respect to a qualified health claim concerning the relationship between 100% whey-protein partially hydrolyzed infant formula and a reduced risk of atopic dermatitis for a specific infant population who [sic] is fed such formula during a specific period of time.” However, use of the term “emerging clinical research” was misleading based on the limited research (4 studies) and the fact that the reduced risk of atopic dermatitis was observed only when infants had the formula during their first four months. The FDA proposed several versions of a qualified health claim, all of which are not positive when read with careful attention. One set of approved statements used a “statement-then-negation” formula that, though approved by the courts, is particularly likely to be misunderstood or misremembered: “For healthy infants who are not exclusively breastfed and who have a family history of allergy, feeding a 100% Whey-Protein Partially Hydrolyzed infant formula from birth up to 4 months of age instead of a formula containing intact cow’s milk proteins may reduce the risk of developing atopic dermatitis throughout the 1st year of life. FDA has concluded that the relationship between 100% Whey-Protein Partially Hydrolyzed infant formulas and the reduced risk of atopic dermatitis is uncertain, because there is little scientific evidence for the relationship.” The FDA letter said that FDA would consider exercising its enforcement discretion when all the relevant information from the approved statements was present. 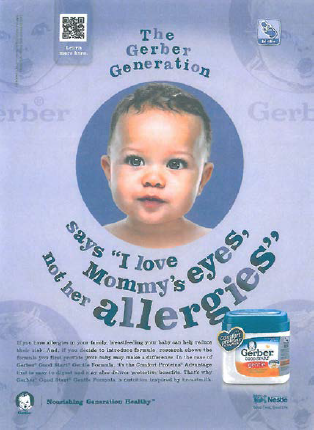 In 2014, the FDA issued a warning letter identifying numerous ways in which the FDA deemed Gerber’s GSG to be misbranded and to include misleading health claims that did not comply with the claims the FDA had approved in 2011 and which restated claims about allergy reduction that the FDA had rejected in 2006. Gerber responded to, discontinued some of its GSG marketing (specifically, the “tamper-evident” sticker label) and the FDA closed the matter in 2015. Hobbs, however, alleged that “several compelling scientific studies have concluded that partially hydrolyzed whey formula does not lower the risk of developing allergies or allergic manifestations, including eczema, during infancy...when compared with conventional formula.” She identified only one such study. Hobbs alleged violations of the Illinois Consumer Fraud and Deceptive Business Practices Act (ICFA), breach of express warranty, and common law fraudulent misrepresentation. Hobbs alleged that she saw at least three specific ads, as well as others, and that she relied on their shared misrepresentations. The complaint didn’t specifically allege “where and when” Hobbs saw the ads or that she saw them before she purchased Gerber products. But that was silly: the complaint expressly alleged reliance, which was an allegation that she saw them before she bought. Specific dates or the particular magazine she read for the print ad weren’t required, at least here. The alleged marketing was broadly based and “essentially ubiquitous”; this wasn’t a claim where the date was necessary to identify a single putatively offending ad. That two experts disagree at trial about the truth or falsity of a statement does not, of course, preclude the fact-finder from resolving the disputed fact question; no more should the plaintiff’s acknowledgment of some competing expert opinion preclude her from attempting to prove the fact at issue by conducting discovery and developing the most persuasive argument possible to support her position as to the truth or falsity of the disputed fact. Gerber cannot insulate its statements from claims of falsity by locating a single expert who will endorse them; absolute certainty is not the evidentiary benchmark in civil (or even criminal) litigation. To prove that a statement by Gerber is false, Hobbs’s burden is only to establish falsity by a preponderance of the evidence. And furthermore (though it’s just gilding the lily), Hobbs was arguing both falsity and misleadingness, and GNC didn’t bear on her misleadingness claim. The court also reminded Gerber that 9(b)’s particularity requirement applies to allegations of fraud, not allegations of damages. 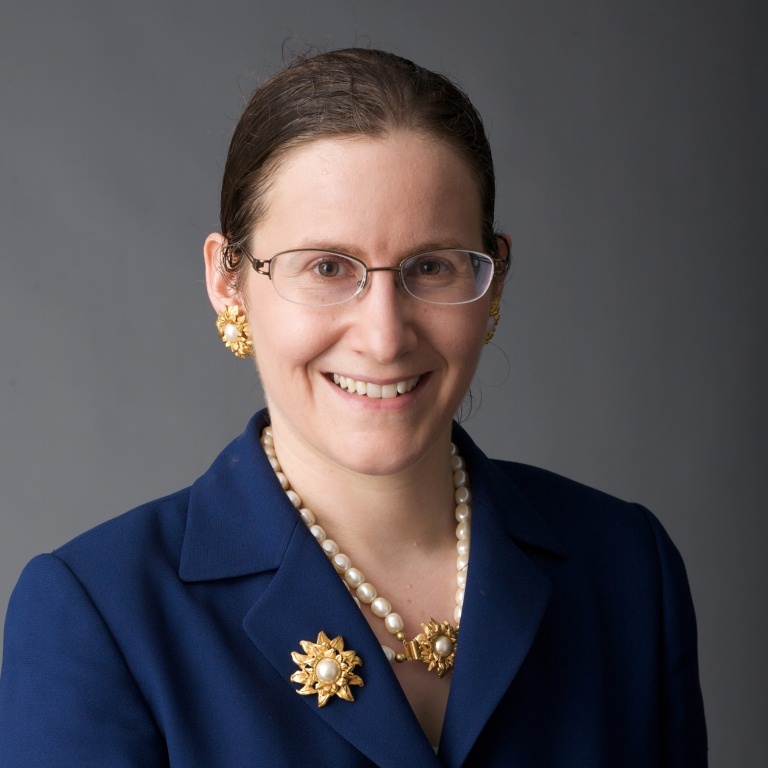 “Hobbs’ task in pleading damages is simply to plead facts that support a plausible inference that she experienced an actual pecuniary loss as a result of Gerber’s allegedly false statements.” Her claim that she wouldn’t have bought the product/wouldn’t have paid as much for it absent the misrepresentation met that standard. ICFA exempts from liability conduct that is “specifically authorized” by federal law, and Gerber argued that its marketing materials complied with the claims the FDA agreed to tolerate in 2011. Not only was this an affirmative defense that didn’t need to be pled around. The complaint plainly and plausibly alleged that Gerber did not comply with the limits given by the FDA “and, given the specificity of the limited [qualified health claims] that the FDA approved, it is difficult to fathom an argument to the contrary.” [Ouch, but seems justified.] Even considering outside material, Gerber didn’t even try to explain how the statements Hobbs identified complied with the FDA’s standards or were otherwise authorized. The court denied a preliminary injunction. Likewise, the court wasn’t impressed that WRA listed its mailing address as being in Bend, Oregon, even though it had Utah as the returns address. The court accepted that WRA had a presence in both states, and any confusion caused by altering an image of a building owned by WRA in Utah (as happened on the website) hadn’t caused any demonstrated injury. The parties disputed who was the copier and who the copied as between the two websites, but the court lacked sufficient information to determine priority. Furthermore, the court didn’t think the websites were all that similar, except for similarities coming from the genre. Trademark claims related to use of Jive’s marks in bidding for keyword ads didn’t show likely confusion, per 1-800-Contacts. The ad in the moving papers was clearly marked as an ad, and Jive’s website was directly below it. Jive also made claims based on WRA’s sale of products under the Home Collector Series mark during a time in which, WRA contended, Jive was not using the mark. Some factors favored a finding of likely confusion, but there was no evidence of actual confusion, consumers’ degree of care, and strength of the mark (if any); WRA also ceased use of the mark, making injunctive relief unnecessary. Belt and suspenders: allegations that “Defendants’ conduct has eroded and threatens to further erode Plaintiff’s customer and vendor goodwill”; their “actions threaten to further diminish the competitive value of Plaintiff’s products in ways that could be difficult to measure”; and “there is a substantial risk to Plaintiff of lost future profits, damage to its reputation, and loss of goodwill and loss of competitive market position” were all too conclusory to constitute irreparable harm. The facts are a mess, but basically PLM and Prolacto both make paletas, Mexican frozen desserts, using nearly the same marks, “La Michoacana” and an “Indian girl” design, which the district court found to be descriptive because of their extensive use by unaffiliated entities in Mexico for the same products. [And here’s an interesting point: the court finds that these terms are descriptive because of their meaning in Mexico; trademark rights are territorial, but maybe meaning is not so territorial, and finding non-trademark meaning from foreign uses doesn’t create the same conflicts with territoriality as finding trademark meaning from foreign uses. The district court’s reasoning makes sense for the same reason that the doctrine of foreign equivalents does.] Prolacto, a Mexican corporation, was founded in 1992; PLM advertised its products with the following statement or its equivalent: “La Michoacana is a family company founded in Tocumbo, Michoacán in the 1940’s. Since then, we’ve continued to make premium ice cream, fruit bars and drinks that give the flavor and tradition of Mexico. Distinguish us by our logo.” However, this wasn’t true; PLM was also a more recent market entrant. Nonetheless, the district court found that PLM was the senior user of the marks in parts of the US (but upheld the cancellation of one of PLM’s marks because of Prolacto’s prior US regional use) and thus that Prolacto had infringed. The court of appeals upheld the district court’s rulings. Without trademark status in the US, Prolacto couldn’t make out a claim for false association based on PLM’s use of “La Michoacana” (the record didn’t support a famous foreign marks argument). The false advertising issue was more clear-cut, but still not a winner for Prolacto, which didn’t prove materiality or injury. Primarily, there was little evidence that consumers even saw one of the allegedly false advertising statements, let alone that they factored the statement into their purchase decisions. A paletas expert testified that he had read the “small print” on PLM’s paleta wrappers (which at certain times included the challenged Tocumbo statement), but could not recall what it said; he was far more attentive than the average consumer, so his lack of memory reinforced the district court’s conclusion. Prolacto’s consumer survey also failed to show injury because it only asked consumers to read and interpret the statement, but didn’t test materiality or to “determine whether, for example, any consumers would actually take the time to study PLM’s product packaging and read about its purported history before deciding whether to make a purchase.” Thus, evidence of injury was lacking. And here’s where it gets weird: as I wrote previously, the district court relied on (erroneously granted at PLM’s behest) incontestability to give PLM rights in the marks, and then declined to reconsider because the challenge to incontestability came too late. However, the court of appeals doesn’t rule on waiver. Instead, it says that even if the incontestability went away the ownership would stay because the registration is prima facie evidence of ownership. But that won’t work in this scenario, because the district court also found that the symbols at issue were descriptive. That is, in the absence of secondary meaning, they aren’t owned. The evidence here rebutted the prima facie evidence of ownership by showing descriptiveness. On these facts I can’t see how the court of appeals can claim that ownership was unrebutted. If the relevant symbols had gained secondary meaning for PLM anywhere in the US when the application/s matured into a registration, then I can see letting this ruling stand, but frankly I’m confused by the underlying timeline so I don’t know how the district court saw that part of the case. Nonfungible digital creativity, enabled by the ERC 721 standard on the Ethereum blockchain: verifiable, indestructible digital scarcity. NFTs overcome failures of existing digital structure for creators by providing for ownership, provenance, chain of title. The inability to distinguish master from copies currently harms demand/value. Creator can participate in secondary market, unlike current first sale situation. Can prevent forgery/theft unless the owner’s private key is compromised or lost. Securely distinct asset from a reproduction. Sprigman: as I view the CryptoKitty, it’s just pixels on the screen. Why can’t I just copy it? If it’s valuable, it’s the picture they care about. Blockchain is valuable as a speculation market, like tulips. The only difference here is you don’t get the tulip. That’s interesting, but does this new thing prevent piracy? A: On the NFT side of things, where you look for provenance/uniqueness. If you just want the copy, it might not matter. But blockchain can establish a record of ownership, assisting in enforcement. Sheff: proper analogy then seems like fine art market. Scarcity is useful to increase prices. W/r/t a digital image you can have anyway, which can be disaggregated from the blockchain record, you’re just creating scarcity for its own sake/conspicuous/wasteful consumption. A: wholly digital from the beginning; not a representation but the thing itself. Q: what’s the benefit of doing it this way? Normative case for necessary similarity b/t secrets given that employees can’t wipe their minds between jobs. ©’s similarity framework makes some useful analytical moves. Like © but not patent, trade secret scope isn’t defined ex ante by written claims. Trade secrets are easy to obtain on the front end, leaving the difficult scope work to be done on the infringement end. (1) In terms of what courts should be looking at, focus should be end that the D is actually exploiting, not R&D along the way; (2) only material contributions should be actionable; (3) only reasonably foreseeable uses should be actionable. Shouldn’t affect core markets, but greater room for cumulative innovation in a world of mobile talent. Our focus is use based misappropriation, not improper acquisition. Restatement says derivation must be substantial, but very few courts explain how to do this. A number of cases essentially ignore this in favor of a P-friendly conception of use in which any aspect of any reliance on the secret in R&D is enough. Courts don’t ask whether what was copied was the stuff that made the trade secret protectable to begin with. Ds shouldn’t need to repeat known failures in their R&D. Courts should look for a material contribution from the P’s secret—not just some benefit. Requires normative evaluation of whether the information D exploited was important to making the secret protectable in the first place. Contrast © which says copying isn’t enough; copying has to be significant/of protectable elements. Today’s Ps can prevail even if they aren’t competing with D; we think that competition in a relevant market should be required. Proximate cause for unforeseen benefits instead of unforeseen harms. Q: similarity to © isn’t a good thing b/c of lack of ex ante definition problems. Why not use obviousness instead? We know how to worry about hindsight bias in patent better than in ©. Here’s what you knew, here’s what you had reason to try/look for. A: not all trade secret eligible info is patentable. Very different definition of trade secret would be required. Lemley: the things you’re drawing from © are not from substantial similarity; they’re from fair use. Foreseeability etc. You are really saying trade secret should allow some productive use/fair use. Might be harder to read that view into the statutory term “use” though. A: current actual copying requirement looks like an actual copying Q in © shorn of the improper appropriation next step. Whether it’s substantial similarity or fair use, that’s b/c substantial similarity has grown to encompass so much more than it once did. The Q is still: are the two products/activities similar enough to be liable. Lemley: but you’ve moved from intermediate copy to final copy, and the way we do that in © is fair use. Nielsen soundscan data for music. Will suggest extrapolation to other commercial info goods like books and movies, not to fine art. Findings best fit the average work—some of the potential suggestions may overprotect some works and underprotect superstar works. Random date-stratified sample of 1200 albums released b/t 2008 and 2017, proportional to genres, w/physical and digital album sales/streaming. Then looked at all songs w/in random sample of 120 albums. Unsurprisingly but dramatically, lose 1/3 of sales volume w/in 2 months, ½ by 6 months, by less than one year out 10% of initial volume. Songs decay more slowly. Album sales drop to almost zero after less than a year, but songs have a somewhat longer commercial life though nowhere near as long as current term. Streaming: analysis is more limited b/c data are limited; main streaming services didn’t make data available until much later. 2016-2017 subset, sample size too small for statistical significance—streaming results in far higher volume. Ave. streaming volumes drop less rapidly than sales, as you’d think intuitively. For typical music production, rapid dropoff for sales. Later will look at genres and differences b/t blockbusters and others. Implications: shorter term? All info goods engage in windowing—single first, then album exclusive to one service; similar in film (theaters, streaming, TV) and books. All of them go quite quickly relative to the term. Also consistent w/winner take all phenomena. Albums are quickly hits or not, like movies and books. Also consistent w/network effects. Maybe duration isn’t that important either way. Perhaps this is useful for countries still on the fence about Berne/duration. This might tell them that extension isn’t efficient. Even adopts support for use it or lose it standard a la Posner & Landes. Could also try other things like reversion to the author [or limits on remedies]. Rothman: the spike is probably related to ad campaigns—can you look at that for blockbusters? Could you argue that precipitous dropoff means that you need a really long term to recoup/make a living? Landes & Posner argued about distribution rights & commercial difficulties/investment—but streaming doesn’t have an additional cost, so far-out sales/revenue are opportunities for artists to benefit many years later. A: Germany has something like this on the book side; if use it or lose it considered availability on iTunes, then that’s easy/costless. We’d need some sort of marketing standard to get some transfer back to authors. Q: effect of illegal copies? A: usually available through entire window and even before—so it’s hard to say but would buy an argument that this mattered. Sprigman: §115 licensing/Harry Fox—given the dropoff, Harry Fox issues affiliate licenses on match, then processes, then pays out in arrears. So this may have implications beyond term. Health care tech where we want to incentivize improvement of existing tech but we’ve set up the system wrong. E.g., microbiome; pharma manufacturing (not much has changed over the past 50 years, even though new drugs are being created—still using batch manufacturing instead of continuous, for example, even though that could reduce cost by up to 50% and even though batch mfg can lead to delays/shortages); genetic testing. If we overregulate microbiome based therapies (which are unpatentable but require FDA approval b/c treated like drugs) then we might not get the end stage technology and never know what we’ve lost. FDA knows its own regulations lock old manufacturing in place, and even though companies can obtain patents on mfg tech, the difficulty of enforcement is a disincentive. Why did Myriad go differently, where the test for breast cancer associated genes has become a lot better in specificity? B/c in the early days it wasn’t regulated. Need to discuss how patent doctrines/sequential innovation literature interacts w/regulation from FDA. Designing best practices: public investment in platform tech, calibrating regulation by stage at which the research is, calibrating health insurer reimbursement by stage. Procedurally, greater executive branch coordination and engagement w/regulated industry as well as public. We’ve hamstrung insurers from calibrating reimbursement based on evidence of efficacy in groups/subgroups. Goldieblox case: filed declaratory judgment against Beastie Boys. Getting sued can sometimes be a boon and can bring a lot of useful attention. Publicity gains may outweigh the direct and indirect costs of litigation, as with Goldieblox. Can be useful when the law is unpopular or the enforcement is unpopular—trolling, infringement claims against highly transformative uses, defendant has a sympathetic project. Another factor favoring: when you have an opportunity to withdraw/back down/mitigate legal costs, and the costs of litigation are limited. If the P is famous, exposure benefits. There are (1) good faith Ds, with defensible uses, where publicity is just a bonus. Aereo tried, but at the end of the day if they’d have won the publicity would have been enormous/built first mover example. FindTheBest: D won and benefited with name recognition after being challenged by patent troll. (2) Bad faith Ds where publicity is the benefit. He calls those reverse nuisance lawsuits. Coinye ICO tried that, though it failed/the company was destroyed. Calculation includes whether the D will look bad in which case it tries to keep the case out of the news. This is a wealth transfer—subsidized by P’s legal action. P may recoup some of the value in the settlement/court award, but there can still be a net wealth transfer from P to D.
Q: there are people who say all publicity is good publicity, so they might behave subrationally under your framework. Eric Goldman: it’s really hard to control publicity and how the narrative goes. Waymo v. Uber—both complaint & response were thoroughly vetted & PR people waged a war as an integral part of the case strategy. That’s not new. Q: there’s a viral group for which IP (patent) is so awful that the P is always wrong. Rosenblatt: assumptions: (1) Ds both can and believe they can make reasonable predictions about whether they’ll be seen as good guys; (2) Ds can make accurate and reasonable predictions about whether they’ll be enjoined. They may think they’ll be folk heroes, but still worry about getting enjoined and the business destroyed. A: we’re not claiming this is happening/the system is being gamed, we’re trying to enhance insights/predictability. Illustrations exist where people have tried to do this, even w/o control over the narrative. May also affect the legal reasoning. Lemley: Represented Goldieblox in this case. Push back on idea that even if we can distinguish good from bad faith the bad are causing social harm. What normally happens when well funded P faces poorly funded D is that the lawsuit quickly ends b/c D can’t afford to fight. Even if D doesn’t have a good case, it is useful for people to fight—we do get good law, mostly P friendly law; we might also expose ways in which law & popular norms differ. If a bunch of people are upset that D is being sued, that’s valuable info about the operation of the IP system. A: added value of another legal verdict when it’s settled precedent/an easy case is lower. But our normative conception of, e.g., patent trolls is exogenous. Adding info is nice; you could also model normative beliefs as endogenous, but that gets more difficult. Miller: why is this a wealth transfer and not a creation of value of thin air—getting attention. Not like P was getting that attention before & it was transferred to them. A: Kanye is paying his lawyers so he faces costs, even though Coinye doesn’t have a good case. He’s subsidizing the publicity benefits. Lemley: we don’t usually call that a wealth transfer. Miller: subsidy is better b/c there’s no one to one correspondence. This isn’t really a paper about Aereo, but that’s an example: new tech often disrupts existing commercial relationships/settled expectations/industries. Incumbents often reach for IP to stop or slow the market disruption. That’s not obviously wrong. Some new tech infringes, and sometimes the point of the IP right is to insulate against such market disruption. But also inescapable that these cases are often really about whether some new entrant, with a new piece of tech, should be entitled to disrupt/force others into new business relationships. They’re really about unfair competition. Parties reaching for IP often claim that the proliferation of tech will be the end of the world—no more new movies, music, etc. Or Uber will destroy longstanding entities. These predictions are universally wrong, at least about social value—player piano didn’t destroy music, VCR didn’t destroy music. But even if the world benefits, even if the industry benefits, even if the existing players benefit, it’s often the case that particular parties will have to change and they end up losers. Netflix killed Blockbuster, not movies. Aereo is a good example because no one thinks the opinion is coherent but we all understand the bottom line: this smells like cable, and allowing it would disrupt all sorts of expectation. We think courts should look at the issues independent of disruption. Market conditions are often relevant to legal doctrine, though. Might look at whether there’s a way to differentiate cases in which the incentives will survive even if the producers change. Hardest cases: new tech disrupts in a way w/significant social value but also risk of undermining incentives if disruption uncompensated. Is there a situation where compensation is the right solution—paying the losers off? Lemley: this isn’t just an IP problem—unjust enrichment and antitrust cases are also often about whether the act of competition is unfair. Spotify and Napster both disrupt the music industry but in different ways and we might care very much how the disruption is done. Antitrust: Microsoft disrupted independent 3d party spellchecker industry when it added one of its own, and that might be fine, but contrast that to its decision to add a web browser to its platform in a way designed to prevent any other browser from becoming a basis for a new platform. Miller: dissent in INS v. IP suggests courts won’t be good at figuring this out. Maybe you’re suggesting IP standing, like antitrust standing—protecting innovation, not innovators, similar to competition, like competitors. A: we’re trying to work out what’s an IP injury—not just market disruption, which might be what causes IP injury, but what that is. Van Houweling: Numerus clausus doctrine—says there’s special danger in courts creating new property rights as in INS v. AP. Could deal w/doctrinal vacuum—property, contract, tort provide different doctrines and numerus clausus provides the strongest argument that we shouldn’t create new rights. Sprigman: mapping antitrust onto innovation is interesting. A strategy that harms competition by raising rivals’ costs of entry is unlawful; what about raising rivals’ costs in IP? Innovation does that all the time; bicycle frames used to be made out of steel and are now exotic carbon, much harder to make. That does raise the cost of innovation in that area, but it’s not a harm to the market v. a harm to competitors. A: you can’t just grab the analogy but you can take it as: is there a consonance b/t IP’s purposes and the harm P has suffered. If the thing that injured you was not appropriation of invention/© work but innovation of better system, that’s the equivalent where we’d want IP injury doctrine. Rothman: determining the empirics is a problem if you’re looking for real harm to innovation. Sometimes you seem more normative; Aereo to her is about normative thinking, the Court’s revulsion to Aereo’s design decisions. Q: we don’t know whether player piano decreased the quality of piano music. A: the problem we ID is status quo bias, which is insanely ironic for an IP regime. Sheff: might have to do with the boundaries of the firm—content generation and content distribution. One possibility is that certain disruptions disrupt business models but also make it difficult for content generation and distribution to occur in separate firms. We’re seeing that now with Amazon etc—distribution takes over content creation. Q: why are sky-falling arguments so common before judges? Happens w/products liability, directors’ liability too. A: we’re a conservative, backward-looking profession. And it’s true that disruption happens and judges don’t want to destroy the status quo, whether that’s current music system or the VCRs everyone has in their home. Judge wants to know if s/he can see the future—if you can see the outside benefits/harms to other parties, it’s easier to decide. Work, mark, and design are verbs as well as nouns; invention is a thing people do as well as an output. Yet IP doctrine uses them all almost entirely as static nouns, rather than as actions. What would happen if IP thought of these words as identifying processes? Might frame each in its context of progress, which demands a focus on movement not stagnation. Might observe that looking at the stuff people create is only one way, not always the best way, to look at creation and creative incentives. There’s a lot about this in the literature for “work,” but not these other areas of IP. Might look at literary theory/feminist scholarship. Deeply influenced by law as discourse, not just as governance mechanism. Important to be aware of law’s story about value; if law is hampering fairness/progress we can find out and try to change it. 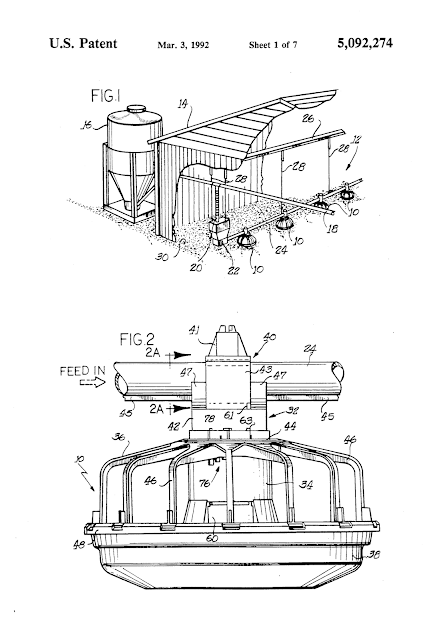 © has some process considerations, such as fixation. TM takes into account development w/secondary meaning/Supplemental Register. 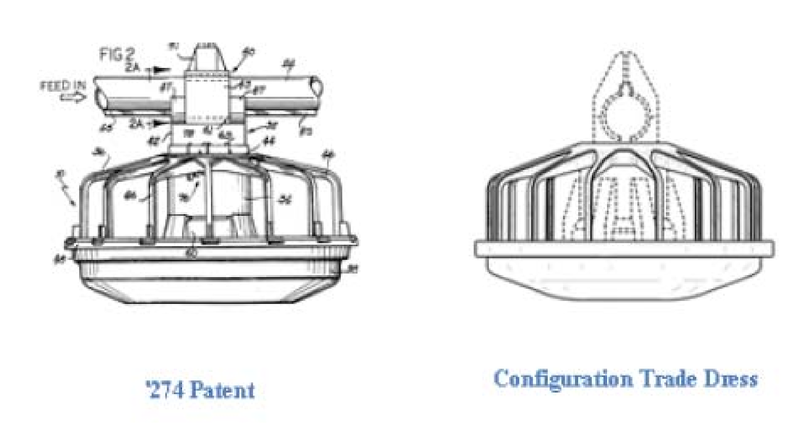 Patent has changed recently in extent & ways in which it considers processes; now really doesn’t consider the process of invention & reduction to practice, esp. for new patents. In obviousness, derivation of inventions. But when considering noun and verb of invention, we look hardest at the noun. We base our analysis of inventiveness only on the structure of product and not on process of making it. This might make a lot of sense, if we think the result is what matters. But if we want to acknowledge that there may be other progress promoting benefits from creation that aren’t the stuff that gets created, we need more. Belonging, self-actualization. Issues of distance b/t created thing and those who created the thing—becomes a commodity rather than a living thing. Feminist theory: by making IP a commodity we’re feminizing it in the Irigarian sense. Enslaving it rather than allowing it a life of its own. Approaching creation as a process recenters creators and users, as opposed to assignees. There can also be merit in using something someone else is made: if creation is a process, it’s harder for me to stop you from engaging in a process than from using a thing. Could ask what was added, not just what was taken, more often. Creators who are concerned more w/process and what’s done w/their creations than with the creations themselves—fine with reuse but only if something interesting is done w/it. Yet that’s not how law looks at things doctrinally very often. Not proposing more rights to control actions, if that could even be done. Sheff: tort framework: what’s the damage in this reconceptualization? What could be wrongful about using someone else’s work? Q: which tense? Past, present, future may make differences. Noun=persistence across time. Action may change more past/future. Rothman: fundamental misunderstandings about law that lead journalists to use © and TM as verb in ways that are legally inaccurate—but maybe they are on to something. A: those uses are wrong from the law’s viewpoint, but that is a helpful point. Van Houwelling: noun is evidentiarily simpler. We do consider process in some ways, like fair use. Maybe we do the easy version at the rights granting stage and the hard version when a conflict develops. Consider this issue in the context of first sale/exhaustion—you can use this noun, but you can’t go verbing it.